What’s the best way to get to know your neighbors? Throw a block party! 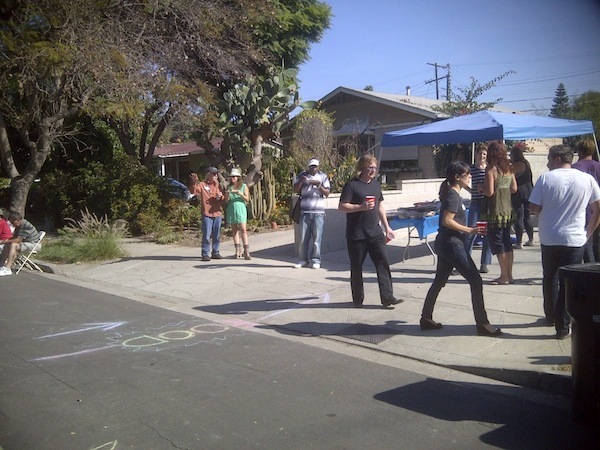 And that’s exactly what one neighborhood did in Atwater Village this Saturday. 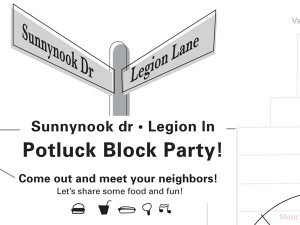 The residents of Sunnybrook Drive and Legion Lane, right in the western end of Atwater Village along the banks of the Los Angeles River, threw the first potluck neighborhood fete on the L-shaped intersection of the two streets and invited community organizations to do outreach and a number of the 13th District city council candidates to come speak. I went that day, not knowing what to expect. I brought a whole Zankou chicken (East Hollywood represent!) to add to the potluck table. Starting at 1 p.m., and lasting the rest of the day, each candidate had 5 minutes to address the crowd until the next one came to speak 20 minutes later. I was perhaps the 3rd candidate to speak; I talked about my community roots, my relationship with Atwater Village, the need to fight blight in the neighborhood, and creative solutions for our City’s current ills. In addition to friendly exchanges with some of the fellow candidates, I got to meet some of the locals, including the Jose family, a Filipino family that lived up the street, whose daughter is actively involved in neighborhood cleanup efforts. I also had a nice chat with a gentleman named Rafael who had some very nice compliments about my speech. It turned out, he was none other than muralist Rafael Escamilla, who designed the Red Car mural on the L.A. River nearby, as well as the railroad mural on the other side of Atwater Village off of Fletcher. I also hung out with the DJs, Anthony and Quincy, who played some soul, pop and reggae for most of the day. At the end of the day, they even gave me a locally-grown mango from a backyard tree! Though smaller than a tropical mango, it still tasted just as sweet. 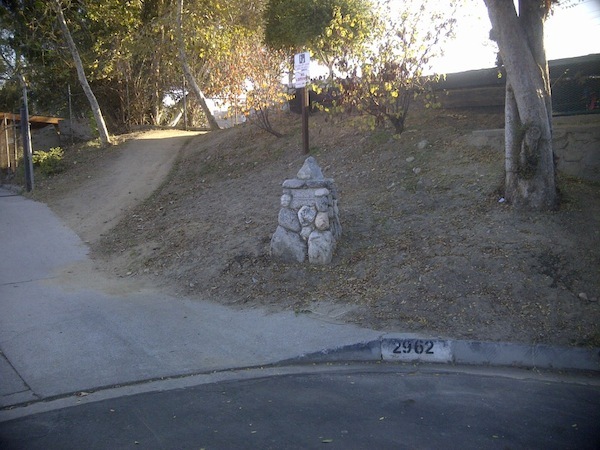 Theres’s no reason why the path can’t be easily and cheaply reconfigured to serve residents and river visitors alike. As I left the block party, I was impressed to see such an active, cohesive neighborhood, and a very diverse one at that. The 13th District needs more “reasons to party” not just for the socializing aspect (and good food), but because it makes our neighborhoods safer, more empowered and more self-sufficient: The recent “Superstorm” Hurricane Sandy that hit the East Coast was a sobering reminder for communities to rely on each other in times of crisis. With a big earthquake hitting Los Angeles, the only way we can survive is to trust and assist one another, and events like these facilitate that.